Since its establishment in 2002, NTU Piano Ensemble has engaged many piano enthusiasts in the university. 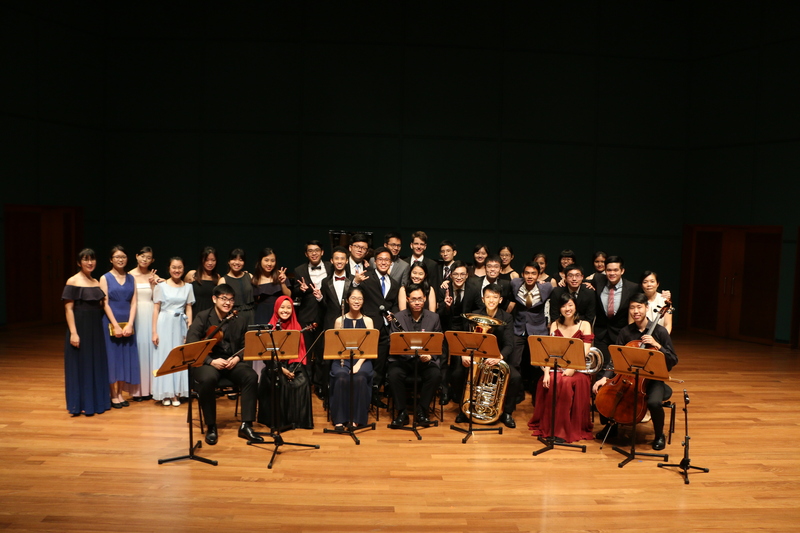 It is the ensemble’s vision to bring piano music to greater heights by promoting greater appreciation among NTU students and the general public. NTU Piano Ensemble is the only piano ensemble in Singapore which accepts aspiring pianists with no music background, as it provides beginners a chance to learn to play the piano from peer coaches. Members who join can have the unique and fulfilling opportunity of becoming a peer coach to teach as well. At weekly jamming sessions, beginners can learn to play the piano while pianists get to refine their skills. In addition, members also have the chance to learn and explore new styles of piano playing through a wide range of activities and concerts throughout the year. NTU Piano Ensemble’s annual concert, Eleganza, features its best pianists playing challenging repertoires which they practise tirelessly over months, specifically concert items featuring 4-to-8 hands piano music. Audiences will enjoy pieces of different genres, ranging from classical pieces to modern contemporary pieces and pop music. NTU Piano Ensemble also organises many free-entry concerts like Evening at the Theatre featuring modern music. It has performed at prestigious locations such as the Esplanade, Nanyang Academy of Fine Arts and the Jubilee Concert Hall. In spirit of the community, it has also performed at Alexandra Hospital, NTUC Nursing Home and SWAMI Home. No experience is required, so do join us today! For general enquiries, please do email us at cac-pe@e.ntu.edu.sg.